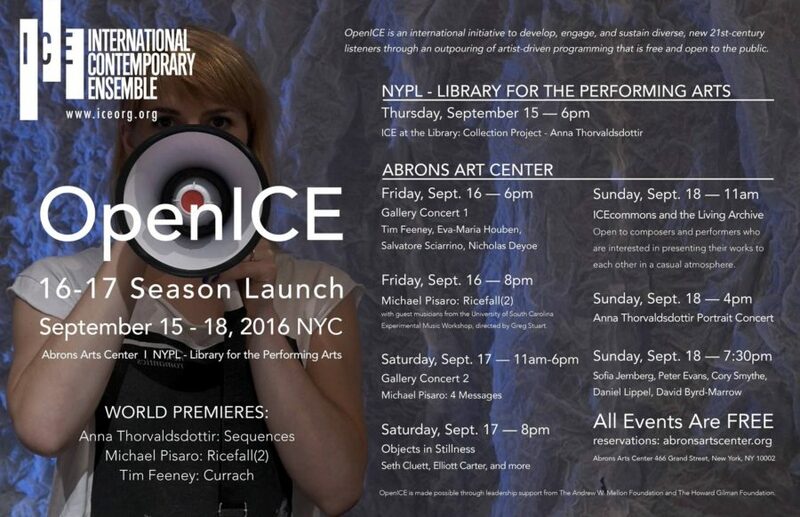 The 2016-17 OpenICE season launches September 16 – 18 at the Abrons Arts Center with a celebration of vastly different styles of performance. OpenICE invites the audience to participate in the creative process through open rehearsals and discussions, where questions about the works and the collaborations are welcome and encouraged. Be sure to join us for meet-and-greet receptions over the course of the weekend! Saturday evening’s event in the Playhouse features the first 2016-2017 selection from our ICEcommons call for scores and public archive of contemporary music: Seth Cluett’s Objects in Stillness.